Life bold text artsy green customized sunglasses is the best, if you wish to say you love life. This customized sunglass can influence others during the parties or it can inspire others during awareness parties. It can be of great use to counselors who are trying to heal people in different capacities. The impressive color profile teamed with gutsy imprint makes it one of the most popular party tokens and awareness generation eyewear on the scene. 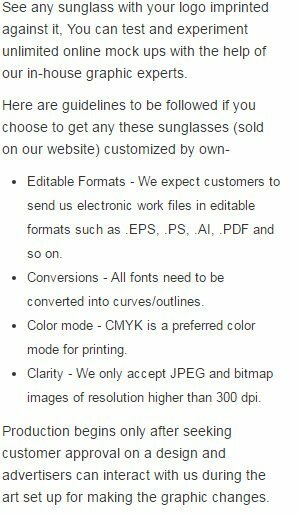 We offer discounts on bulk orders of this imprinted sunglasses. Highlights - 4 -Color process highlight. Bold Life imprinted lenses. Green glass frames.